We all had a successful outing to Poplar Place. 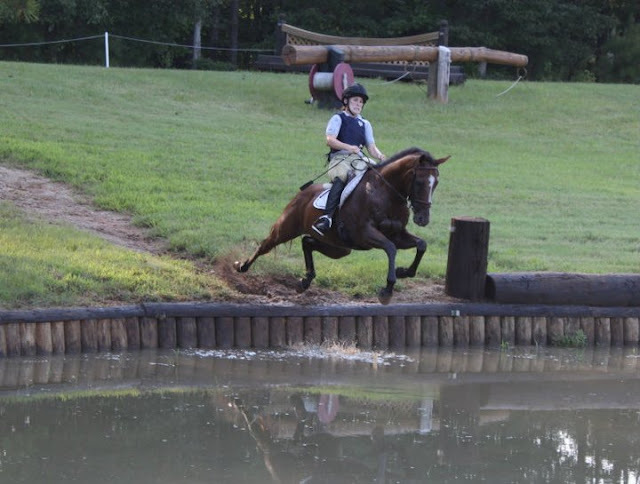 Ollie and Warren competed in the Novice and Beginner Novice combined test respectively. Kipling came for a dressage test. Everyone was good. Even Kipling, once he got tired of walking around on his hind feet (...Jessie tired of it long before he did). 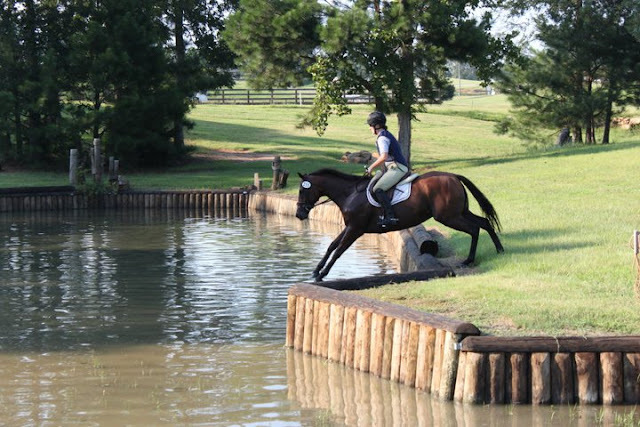 But the fun part was schooling Poplar's wonderful cross country course. Tucker was a star, as always. And Warren learned some very important lessons. Lesson One: Fences seem smaller from farther away. So you should look at it the entire approach not matter how serious that bush in the treeline may seem. 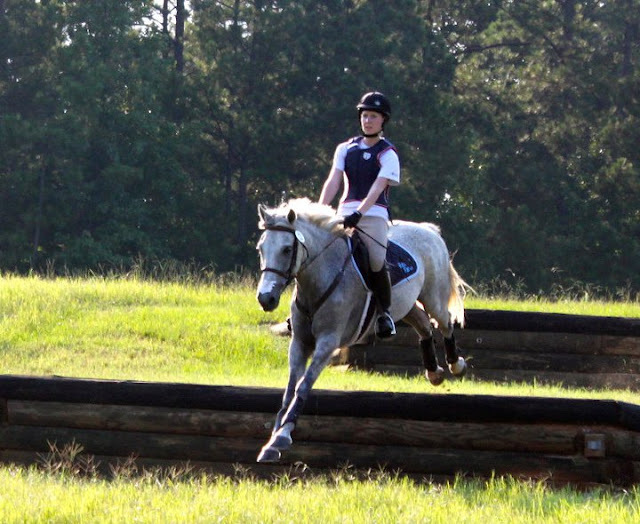 Lesson Two: Jumping out of stride is much easier than from a stand still. Lesson three: Ditches are really very straight forward, and monsters do not live down there. 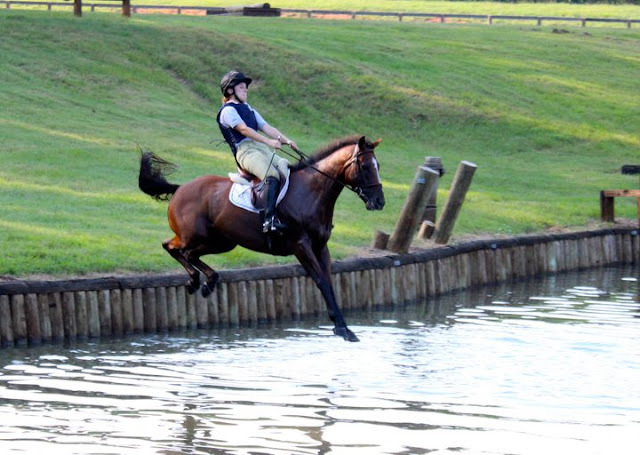 Lesson four: Jumping into water is not as hard you you might think. Thanks to Theo for all the great pictures!